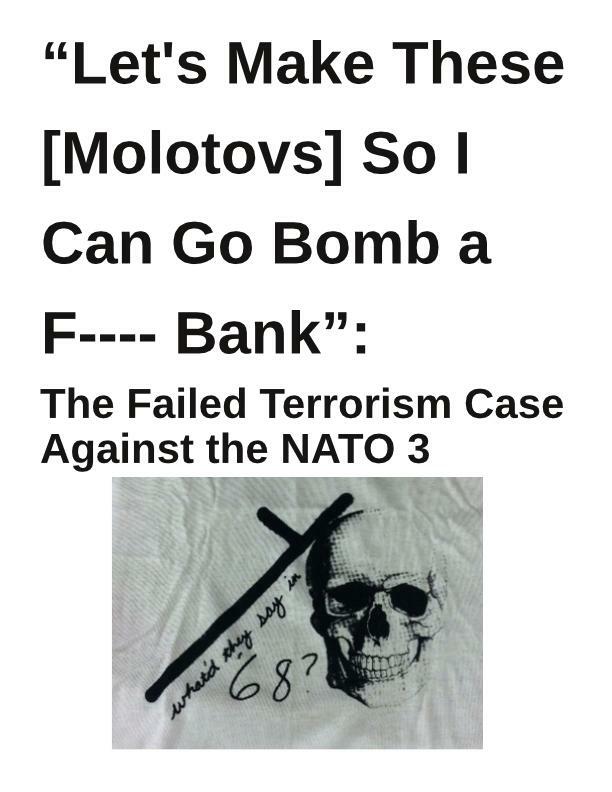 Jay is the last remaining NATO 3 defendant incarcerated. He would have been released this May but received added time resulting from an incident with Cook County Jail guards during his pre-trial confinement. He has also had all of his good time taken away and is now projected to be released in June of 2019. Solidarity is our weapon. We can not forget about our comrades in prison. 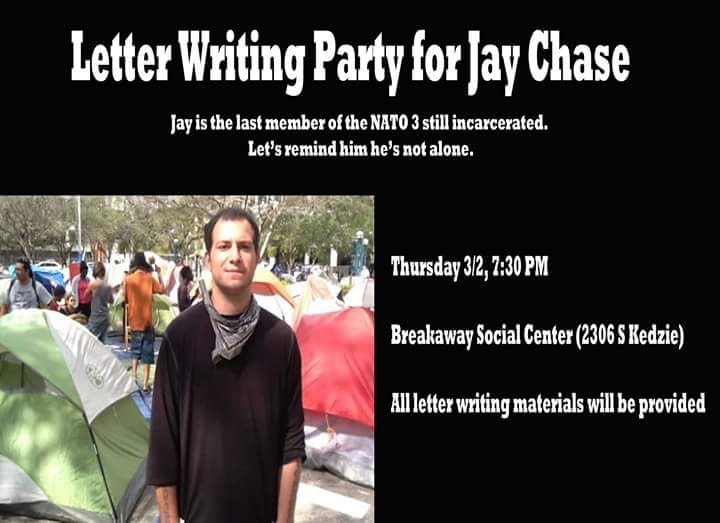 Come out and write to Jay and let him know he is not alone!All materials will be provided.